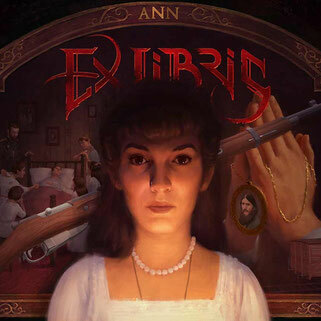 A quick recap from our previous Ex Libris review, “ANN” is a new anticipated progressive metal trilogy album about three historical women who share the same name, from the different eras, places, and stories that needs to be told. The album was successfully funded through GoGetFunding, passing the goal of €25.000 on the last day of the campaign, in which will help the band in the recording process for the metal trilogy. Following the magic number of 3 to make this album unique, it will be released in parts and different dates. The first chapter told the story about Anne Boleyn, the Queen of England from 1533 to 1536 as the second wife of King Henry VIII and a key figure in the political and religious upheaval that was the start of the English Reformation. With the chapter now closed we are taken to the start of the 20th Russia where we will be going on a journey of the short life of Anastasia Romanova, the youngest daughter of Tsar Nicholas II, the last sovereign of Imperial Russia. In this chapter, what makes this 'EP' different from the last, is the band's use of an orchestra and the Ural Cossacks Choir to give a big oomph to the music, like the first track “The Motherland”, a big fanfare opening to introduce the young duchess of the Siberian planes. The flow in the first verse with the theatrical voice telling the story about her duties as the daughter of Tsar while being displayed by the sounds of high nobility before leading the song into a build up of powerful hymns and the instrumental that shows power of the aristocratic family. The music change to somewhat dramatic as the belt of Dianne’s vocals tells about “crimson red” that curses the family before going into a barrage of amazing electrifying solos by Wijtsma and Stam is it moves into the sounds of the Romanov’s rule with band's symphonic side that hasn’t been heard in the first chapter. Ending with the narration that the brother was stricken with the curse. Next is the story in Romanova's life about her brother who had fallen ill to hemophilia, the family curse mentioned above. “The Healer” separates from the elegant theme, to a more chilling sounds of the ghostly child-like voice of Dianne singing in a lullaby manner with haunting strings, then into the bombastic verse with chugging powerful march-like rhythms of the metal and classical music intertwines, creating a symphonic metal concerto with vocals displaying amazing colours and soaring notes of hope in the perspective of Anastasia, when Grigori Rasputin, a mystic who makes his way to the Romanovafamily and was saw as a blessing to help the sick Alexi, while her dramatic voice acting creates suspense as the music atmospheres darkens as doom looms over Anastasia along with the operatic staccatos. 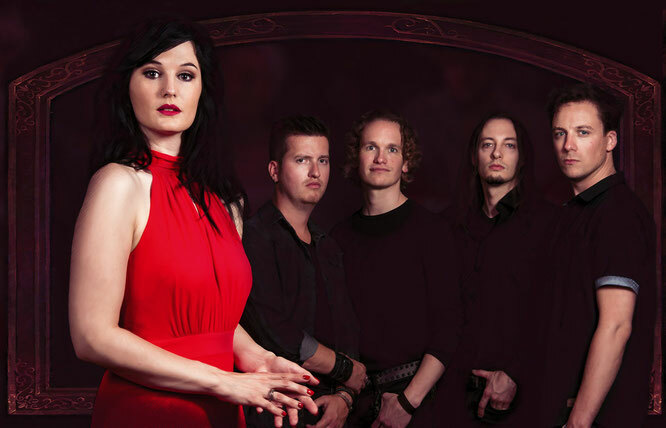 Last track “The Exile” comes in full terror-sounding energy, like the last song in first chapter and the voice is reflected by a variety of emotions as Anastasia and her family lives a life of imprisonment far away from home. In the midsection of the song, the added ambience of birds chirping, and kids in the background gives memories to Anastasia of her young and energetic childhood of her now short life, brings nostalgic sadness to Dianne's vocal performance, knowing they would never go back to those days. Before nearing the end, big props to van Giersbergen's theatrics, putting forth the sadness as Anastasia begs for her life as here and her family are about to be executed, but also a mix of anger people’s hatred and slaughter to her last screams as the music builds the tragic end that can send chills down the listener’s spine and her final words linger in our heads as the sounds of the choir in mourning to the loss of the last sovereign family of Russia, closes the chapter. This chapter shows off the epic complexion of the band’s sound as they blends progressive and symphonic music with the elements of dramatic theatre and beautiful opera! I'm positive they'll have something bigger in stored for us for the last chapter to top this one. Ex Libris doesn’t plan on ever disappointing their dedicated fans, and definitely will leave an impression to those who discovers this gem of a band. “Chapter 2: Anastasia Romanova” receives a 5/5. Read the interview with Dianne here!